I am taking off the educator hat and putting on my Dad hat. Why? Because my amazing 3rd grade daughter is currently at school and taking the 3rd grade reading test. I don’t have a problem testing her reading skills, let us know how she is doing, what she can improve. I have a problem with a one off snapshot test. We hardly discussed this test at home except in passing. Yesterday she asked if I would drive her to school. ME: Why do you want me to drive you tomorrow? We usually do that on Friday? Maer: I don’t want to miss the test. They are starting it right at 9 and I can’t be late. They won’t let me take it if I’m late. ME: The bus picks you up at 8:12 – why drive again? She is nine. Today I asked her how she felt, she said with a nervous smile that she was worried. I asked why. She said if she didn’t pass this test she couldn’t move on to fourth grade with her friends. I encouraged here to show off what she knows. We didn’t talk about this test much at home. But she knows. Just reliving this conversation I have knots and butterflies in my stomach. The past few weeks have been devoid of any meaningful instruction at she has participated in “boot camp” for the state assessments. I get this. The teachers have been forced into a terrible position here. The third grade musical was about doing well on the test. It was well done – my kids music teacher works miracles – but isn’t there a more appropriate choice for third graders? How did we get here? This “reading” test is not even technically a reading test! Claudia Swisher has the test specs for this year – read them here. Why are we being forced into this? And if I exempt her from taking the test, her school could be punished on the unreliable school report card formula (the school must test a very high percentage of students). 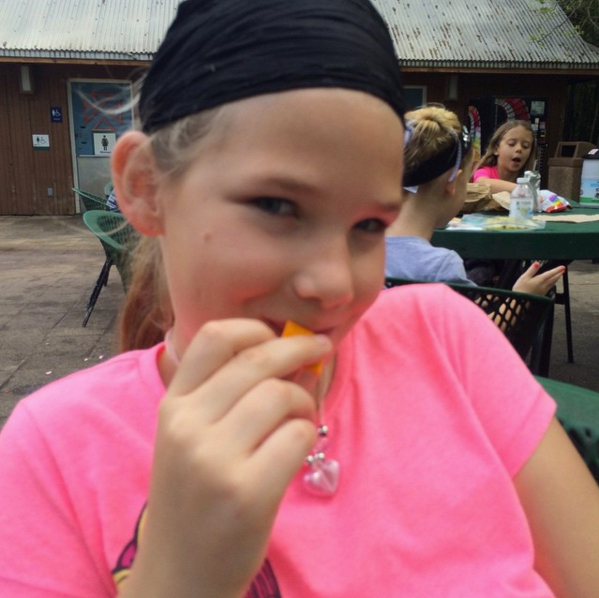 I am at a loss for words…..
My daughter does not have a voice that can be heard yet – I do. THIS IS CRAZY! WHY? WHY ARE WE DOING THIS TO OUR CHILDREN? WHAT IS THE POINT? TO DRIVE THE LOVE OF LEARNING RIGHT OUT OF THERE SOULS? I am so frustrated and helpless right now…. 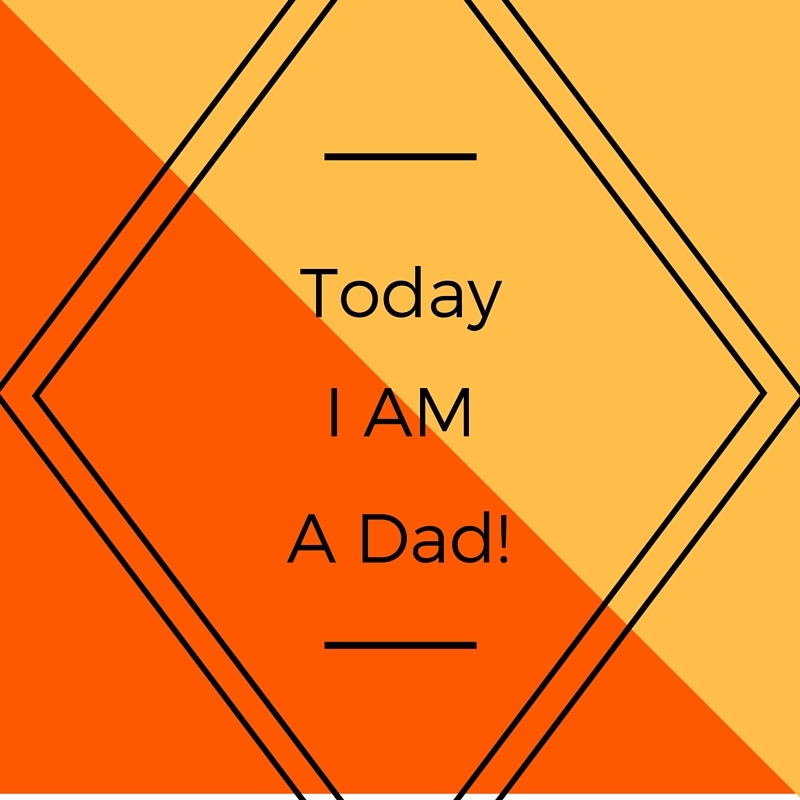 11 Responses to "Today I’m A Dad"
What beautiful name! Family name??? Thanks for including Claudia’s link – so very damning in both pieces!!! Think about it this way: A child spends pre-K years, kindergarten, three years in school PLUS summers and vacation weeks dealing, among other things, with learning to read – facilitated by teachers, family, and hopefully others; some have the best of intentions, maybe most. Sadly, some never get help except in the classroom. Regardless, teachers are then mandated to teach to the test for a number of weeks – likely not even differentiated… AND then they take a test that except for a lot of people getting a veto override, could force some student retention. Educators are forced to deal with crazy mandates. But, to me, this is the absolute worst one. I’m dumbfounded how any politician voting for this one can live with herself / himself. No test is a perfect indicator of a child’s future success. Case in point: I scored high on my ACT because I am an excellent test taker (a skill I did not pass on to my kids). It was so high, that they enrolled me in a math class in college that I never had the pre-req for.As a consequence, I had to drop that class and enroll in a different one, and it just became a mess. Accelerated Reader and Standardized testing have created a world where kids who struggle with reading learn to hate it. That breaks my heart. As a librarian, it’s one of my missions…to place the right book in the hands of a child and see the face light up when they find a story that they love. Do they have time for that right now? Can they read what they want? No, because someone says it has to be on a certain level. :p Haselwood, you hit the nail on the head. Thank Charlotte – I am not the biggest AR fan at all…we have fought through the test just to test part of AR and the kids have found books they love to read! We are always trying to help them find something interesting. Love your thoughts and tell John I said hi!! This is a must-share, of course. Thanks for taking the time and anguish to post this. Thank you Rob – It was hard to write. I am so frustrated that third grade is being determined by one event on one day. In no other test will people have to do this. This makes me so sad. I hate what this is doing to children. I hope that we can change the state legislature enough to rid this, and other punitive measures from our state. I am so sorry for our teachers, parents, and students. I hope that this changes before my grandchildren have to take this horrid test. I am hoping that with all of the educators running for office, that some of this will change. Thank you for your comments. I completely agree! My child has always had test anxiety. He is a perfectionist and doesn’t like being timed. He doesn’t meet the “standards” set forth for words per minute and accuracy. He also has a speech problem. Factoring in all this, he is in second grade and makes all A’s in his classes. However, the third grade teacher already told us if he doesn’t pass the test next school year then she will hold him back and he will be placed in gifted classes for all but Language Arts. Seriously? It’s already hard enough to get him to do his work. If he has to repeat it all over again we will have major challenges. Learning is definitely not fun anymore for kids now! My heart hurts for him every time he has to do a DIBELS test or LEAP test. It’s ridiculous. We are not looking forward to the next school year at all. Don’t be silent on this issue. Talk with the school administration and counselor. Let your voice be heard! Silence = Acceptance. There are options out there for you, be a positive advocate for your son and use your voice so he can find his. Yet more evidence how rediculous this mandate is!!!! As Scott writes, don’t wait; start advocating NOW for your son. From what you are writing, as you note, the third grade teacher is totally in power mode!!! Suggestion: I’m presuming he’s a reader – for other subjects, for reading class, and for fun. Log these efforts in terms of books read and time reading. Also, if possible, get a reading comprehension test done by a reading specialist – probably outside school – a couple of times to show progress!! !